The farm is built as environmentally friendly as possible, and make use of modern technology and equipment. On land, the hatchery where we grow our own fingerlings, that fish on the size of a finger. They are bred from our own brood stock. 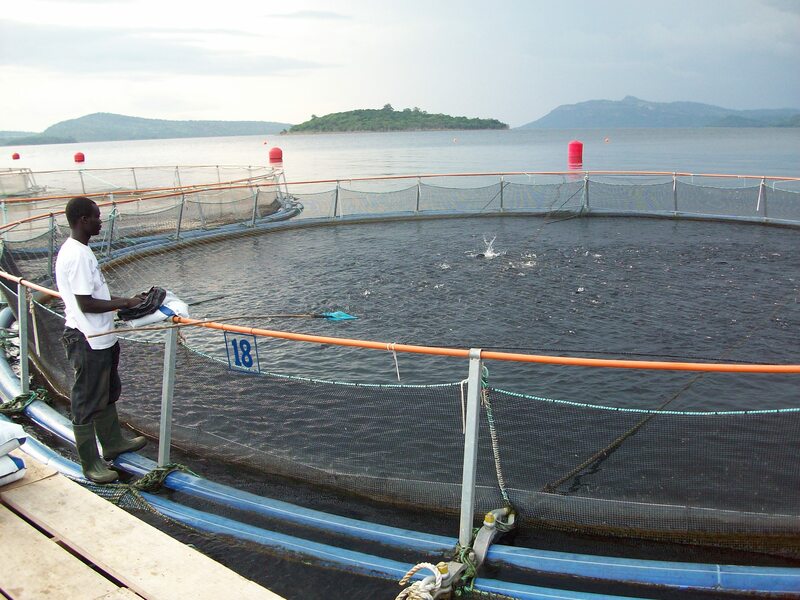 Currently, we only produce fingerlings for our own use; but soon we will be able to provide top quality fingerlings to other fish farmers, and for launching Lake Volta. It will benefit the dwindling tilapia population, causing major problems for the local fishing community. The hatchery is designed with the latest recycling technologies. This allows us to produce fingerlings with almost no water change, which reduce our effect on the environment to a minimum. 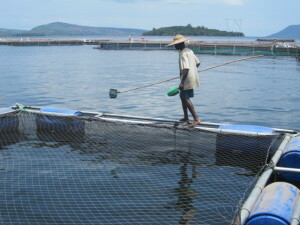 They grow-out facilities are located in Lake Volta, in square cages measuring six meters on each side. The Fish will stay here until they are about 50 grams. Afterwards they moved to 50-meter circular net cages using high-tech double yarn, to continue production until the fish when the 500 gram harvest size. 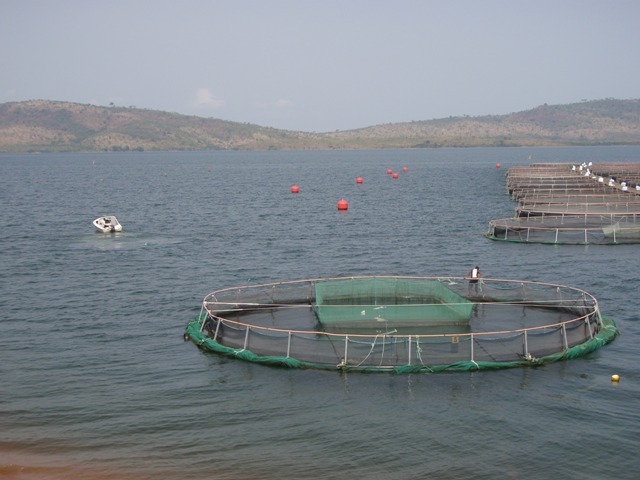 All of the cages are connected to two floating docks, which allows easy feeding, harvest and overall control of the production and security. 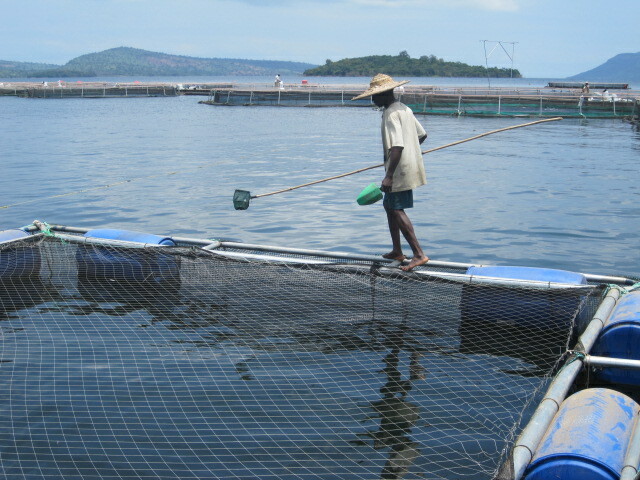 At the farm, we use the most ecologically friendly floating fish food.